A quick post to share two very different cards with you today. The first card uses a watercolor effect to create the background. To create the background used a watercolor technique I have grown to enjoy. I dabbed ink from Island Indigo, Fresh Fig and Night of Navy ink pads onto a large plastic ziploc bag and spritzed it with water to let the colors blend and float. Then I dabbed whisper white cardstock onto the wet ink to create the background effect. I heated the cardstock after 1 application to dry the ink and water. Then I added more ink to the cardstock in the same way to add more color and fill in the background until I was happy with the effect. Once the background dried I added some die-cut and punched circles and the greetings. The greetings are Sale-a-bration items offered by Stampin' Up! from now until March 31st 2018. I received these items free, the Amazing You clear-mount stamp set and the Celebrate You Thinlits dies, when I purchased $150 in Stampin' Up! product (total). Such great fonts in these items. I already created a few different items with the thinlit dies. The second card is ALL die-cuts, no stamping at all! I used the Painted with Love Designer Series Paper (Stampin' Up! 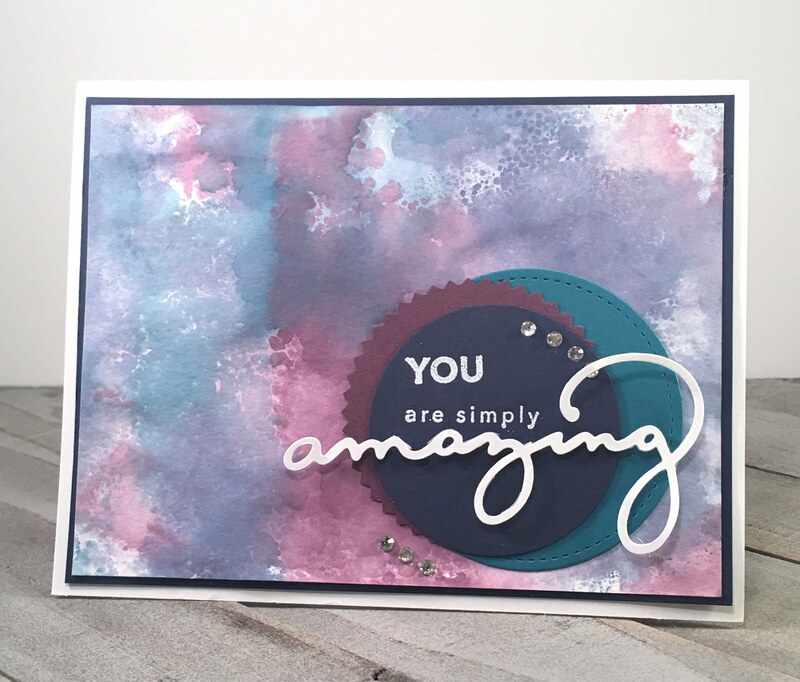 2018 Occasions Catalog) and the Sweet and Sassy Framelit Dies (Stampin' Up! 2017-2018 Annual Catalog) to create the hearts. 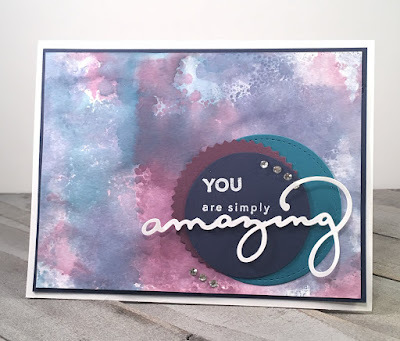 The greetings are from the Celebrate You Thinlit dies (2018 Sale-a-bration item) as well as the Lovely Words Thinlit Dies (Stampin' Up! 2017-2018 Annual Catalog). I added a little gold mini sequin-trim ribbon behind the smaller heart and that was it. The mat is Powder Pink cardstock embossed with the Polka Dot Basics Textured Impressions Embossing Folder (Stampin' Up! 2017-2018 Annual Catalog). 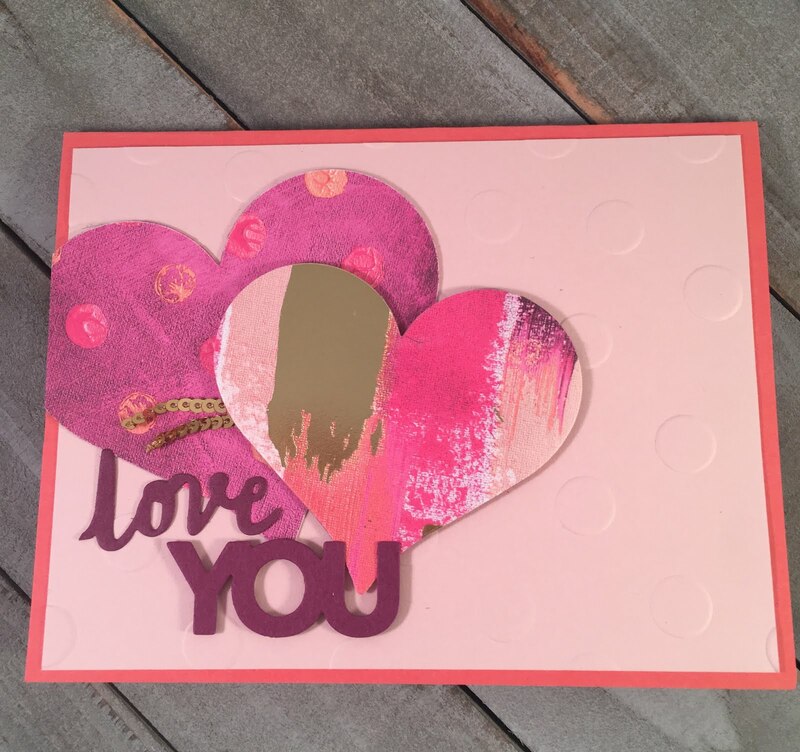 Cardstock colors in this card are Powder Pink and Rich Razzleberry. Thank you for visiting and hope you enjoy your day!